Recently one of my client asked me to show a good looking group box for our application, so that after a 15 min research i decided to create a group box which will contains a banner at right corner of group box with nice appearance. I thought it may be useful for others, so i have added this sample in Expression’s Gallery, if you like and wish to use that, download the style and use in your project. 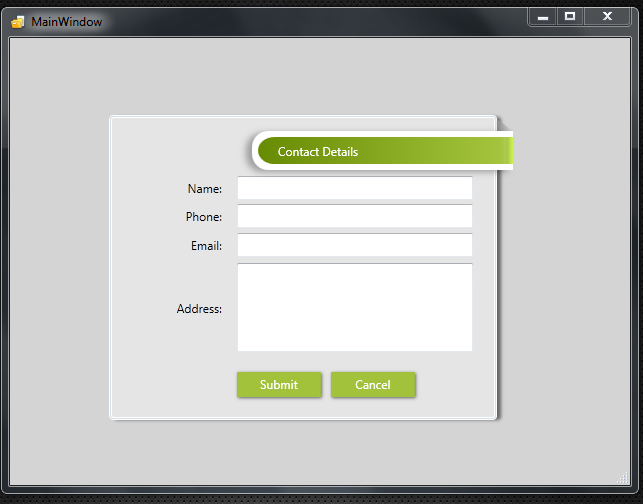 This entry was posted in Controls, Styles, WPF, WPF Control Style and tagged expression, Group Box, WPF. Bookmark the permalink.